I AM the Great Divine Director, having come to you today. I have come to you at the end of the year during the time when the session of the Karmic Board takes place. I took advantage of this opportunity to appeal to you. I am happy that finally, after lengthy discussions, we have managed to make a clear picture of what we would like to have next year. If you are patient, then later we will be able to acquaint you with all of our plans and tasks. However, the time when you were just listening and reading our Messages is over. Now the time has come for action. I would like to tell those of you who still wish to satisfy their curiosity by reading our Messages that we are going in different directions. I have come to arouse your hearts and direct you to perform concrete work in the physical plane. 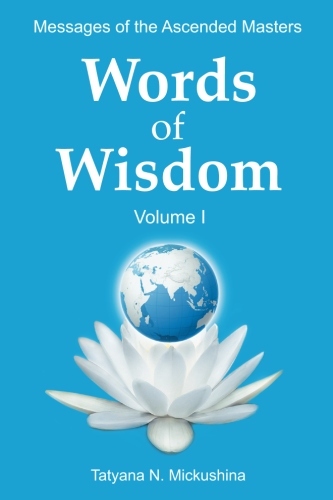 I have come in order to tell you that all of the energy, or almost all of the energy, that was released by you during the world meditation on the 23rd, is directed by the Karmic Board to the development of the Divine opportunity connected with our Messenger. We intend to proceed with concrete steps in the physical plane. We need people who are ready to support our initiatives and start cooperating with us. It is not about making a crowd of onlookers that can only hinder our work. Each of you has to be ready to implement the deeds for which he or she has come into this embodiment. In these days at the end of the year and in the first days of the New Year, I advise you to meditate on what you specifically can do now. I am asking you not to concentrate on discussing what is preventing you from implementing this or that plan in your life. You should concentrate your attention on the implementation of concrete deeds in the physical plane and start fulfilling them. Small steps in the right direction — not global actions — are needed. Then gradually, moving closer and closer to the implementation of the Divine task of your embodiment, you will receive our help and support. However, do note that if you are going to drag your old habits and attachments into the future, then you will not succeed. You will not be able to go uphill with a backpack filled with unnecessary stuff. Leave all unnecessary things and habits, and let God take care of you. There is another danger that lies in wait for you. Sometimes you rely on God and the Masters so much that you forget to take care of your families and to keep your home and your physical body in order. Only complete harmony and balance between the spiritual and the physical, with a slight predominance of spiritual interests, can manifest the necessary result in the physical world. Remember that as soon as you reach the necessary inner balance, energy will be able to flow through your being, and you will not have enough time to perform all the deeds of the day that you have to do. There is one common misconception in your world. You believe that if you have dedicated your life to fulfilling the Masters’ tasks, then the Masters have to worry about the state of your health and your physical needs. You should not shift the burden onto the shoulders of the Ascended Hosts. You have your difficulties and we have our difficulties. We do not force you to carry our load, because if I passed on to your shoulders at least a small part of my burden, you would not endure — even for a minute — under the weight of the load that I bear for the benefit of the evolution of planet Earth. 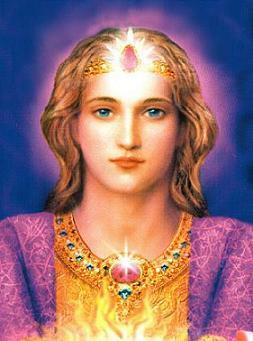 Do not try to hang upon either the Ascended Masters or our Messenger. Everyone has to carry his or her own burden. Only sick and infirm people, elderly people, and children are to be tirelessly looked after. The rest have to take care of themselves and their fellow men. Every healthy man is obliged to support his family and help those in need. Do not confuse the spiritual path and spiritual achievements with reaching a state of indolence. A state of permanent idleness is not assumed in your world. You cannot endlessly stay in meditation. You need to provide food, clothing, and shelter and to care for yourself and all of the people who depend on you. Only then can you proceed to your spiritual practices and techniques. I have to warn you about another danger when you justify yourselves with constant cares and busyness and you forget to devote even five minutes of your day to God. You will not be able to take the right action in the physical plane and make the right decisions if you do not keep your mind in accordance with God. You should strive to stay permanently in good and high spirits, and for that you have to use the spiritual practices that are in harmony with your soul. I cannot force you to meditate if you are used to praying. I cannot force you to pray if practicing yoga and meditation are more habitual to you. There are no strict recommendations. Everyone has enough living space and opportunities to fulfill their own spiritual work. However, there are practices that do not lead your soul toward development but on the contrary, the practices put your soul into a cage of dogmas and rules. The time has come to set free from cages those lost souls who believe that they serve God while they are engaged in self-torture and self-flagellation. Such practices have nothing in common with Divine service. You are free people, and spiritual practices should bring you happiness and satisfaction. I do not justify lying and doing nothing. Sometimes it is necessary to force yourself to stand up and start praying or help your fellow men, including your family. However, I cannot recommend excessive zeal and daily engagement in spiritual practices only. A reasonable balance, a reasonable restriction, and reasonable actions are needed. Now, in parting, I would like to recommend to you another technique that you probably knew but forgot. I would like to remind you of the Light that is shining within you. I would like to remind you of God who lives in your heart. You only need to enable God within you to manifest Himself. So, in the New Year may all of your actions in the physical plane be guided by your Higher Self, God within you. I AM the Great Divine Director, and I have been with you today.